Let me tell you a little story, a story about the gift that keeps on giving. I know this is a hot topic in writing circles, so hold onto your seats, but there was a time that I wrote for free. I wrote for free to test the writing waters (was my writing worthy of being published? ), I wrote for free to get bylines on big sites, and I wrote for free because I was passionate about my words and wanted more eyes on my writing. Those times I wrote for free, well, they’ve been paying me handsomely ever since. I’m not here to advocate giving everything away for free, but I am here to say that writing for large outlets, often for little or no pay, can pay off. I published a piece, on The Huffington Post in 2014, that has brought quite a few clients to me over the past two years. In fact, I just booked a new client last week because they found me through that piece; this one client will contribute at least $10,000 to my income over the next year. Yes, you read that right, now let me explain. When I got into The Huffington Post, I used the outlet to syndicate strong pieces I had already published on my own blog. This way, essays I felt strongly about would get more eyes on them, my voice would be heard, and perhaps, just maybe, I’d have readers wanting to enter into a dialogue. In fact, the very first piece I published on The Huffington Post (for free) turned into my first legitimate writing gig — I was contracted to write two response pieces for another site at $250 a piece. But, this isn’t about writing for free, this is about how writing for large outlets can help you land clients, if a freelance writing career is what you’re after. I love to write essays about my life experiences — my life has been just dysfunctional enough to give me material covering a span of topics — and when I have spare time, and I’m inspired, I like to draft personal essays. When Hearst Digital’s The Mix was still around, I’d use their prompts to help me craft essays. The majority of my essays were declined, but I found another outlet that was more than happy to take them. This outlet pays the same as The Mix did (which is next to nothing), but again, I got a big byline, had my essays syndicated on Yahoo’s front page, and was subsequently contacted by businesses to write for them. For example, I wrote an essay about how I was a stay at home mom with student loan debt, primarily about the guilt I felt that my husband was paying my loans while I wasn’t working outside of the home. That essay was syndicated by Yahoo!, and I was contacted by a unique student loan gifting company just days later. The end result from that $50 personal essay? I’ll begin writing for the company, as much as I’d like monthly, for as long as I would like, and the company will send my compensation directly to my student loan holder each month. This, my friends, is awesome. Dividends, I tell ya, dividends. I spent a year working as a blogger liaise because I wrote a piece about how I loathed the wastefulness of subscription boxes for kids. The company that hired me? A subscription box company (and no, I’m not kidding). They loved my honesty, and felt an instant trust in me as a straight-shooter. Perhaps the most interesting part of publishing my essays on larger sites is that the majority of work I get from them is not essay writing. Content marketing is my bread and butter, and I honestly love the challenge of researching different topics, in order to create content for a broad spectrum of businesses. For some reason, baring your soul as a writer creates an instant feeling of trust when a business is looking to hire someone to create content. But back to the client I booked last week. This situation is unique for me, in that the client vetted a group of writers, found me and decided that my voice is the voice of his company. Having handpicked me, he’s sent me to write for the marketing agency handling his account (as a dedicated freelance writer), so the arrangement will be a little strange in an awesome way. I’ll be working with the marketing agency to create content for this company, and I’ll most likely have the opportunity to write for other clients the agency has, now that my name and my work will be in front of them. All because I was discovered through a piece I wrote in 2014. So if you’re wary about syndication, I say go for it! And don’t believe the old “duplicate content” myth when it comes to syndication — I’ve not experienced a drop in site traffic as a result of syndicating my content on large sites. 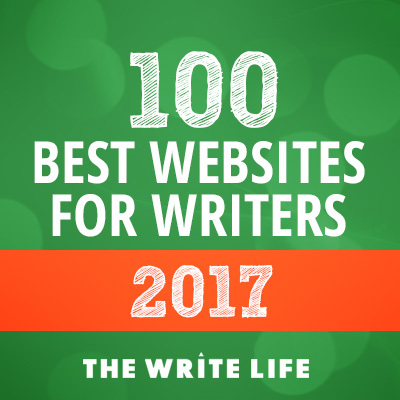 And if you have the time, start submitting your personal essays to larger sites; use those big bylines to book clients and build your freelance writing business!